In furtherance of the success of the experimental management software for service stations (EGAS) Vietnam National Petroleum Group (Petrolimex) has officially selected and assigned Petrolimex information joint stock company (PIACOM) the task of applying EGAS in more than 2,170 Petrolimex service stations (SS) on a nation wide scale. 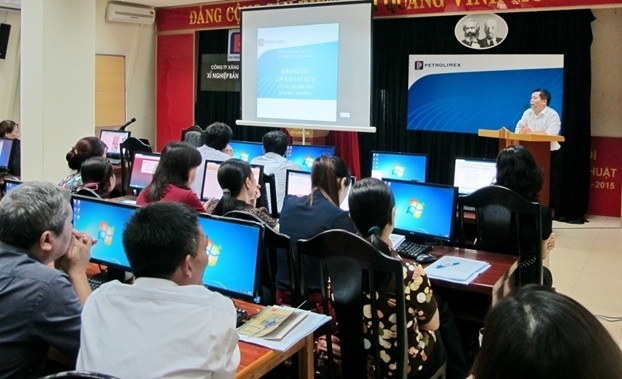 On June 26, 2013 at Hanoi Retail Enterprise, Petroleum Company Region 1 (Petrolimex Hanoi) and PIACOM opened the training course of applying EGAS, thus officially starting this project. EGAS is not only the software for management. It is really a comprehensive solution for the management of the SS. EGAS comprises software and the integration of automation contents: the reception of signals from pumps, automatic tank gauging, and integrating with chain of payment by cards. EGAS is constructed on Petrolimex order in the overall project of management of enterprise resources program ERP as input for SAP system which is now underway in Petrolimex. EGAS is designed in the form of data collection, on a broad band scope , enabling users to manage SS from afar. EGAS is also a tool of transparency of oil business in SS. Methodologically, EGAS is activated through keyusers of Petrolimex companies. 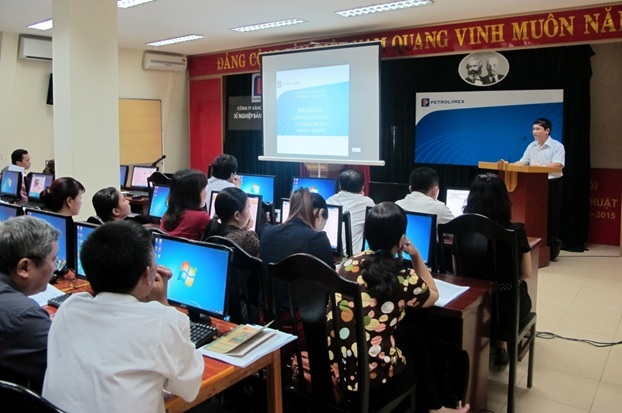 Together with PIACOM staff, keyusers shall train and instruct end-users and assist in the operation of the system. By phases, in 2013 EGAS shall be applied in 700 SS, and at end of 2014 in all 2,170 Petrolimex SS nation wide. The wide spread application of EGAS marks a step of maturity of PIACOM officers and staff, the determination of Petrolimex leadership together with member companies in the use of modern means of system management, unceasingly upgrading the quality and effective production and business so as to move further.